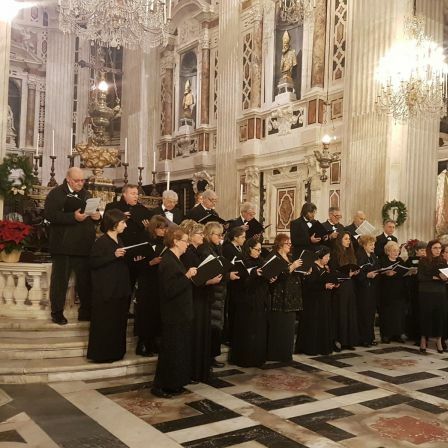 The magic of the music and the charm of the Churches of Genova come back in December with the Event “Churghes in Music”. Art and Music: a marvellous synergy to involve the so many tourists that visit Genoa, but also to excite the Genoese to enjoy the city beauties. The concerts are free and they will take place in the afternoons of 1°, 8, 9, 15, 16, 22, 29 December and 3 January. 4pm Santuario Nostra Signora delle Grazie al Molo. J.S. Bach, Bist Du Bei Mir; J.M. Siougos, Vierge Marie; C. Franck, Panis Angelicus; M. Frisina, Magnificat; P. Vigo , Tre Preghiere Mariane; P. Vigo, Ave Maria; P. Vigo, Poae Nostro (Padre Nostro in genovese), By And By (Spiritual); A. Adam, Cantique De Noel; J. Hairston, Mary's Little Boy Child. J.S. Bach, Cantata 147; A. Mozart, Ave Verum Corpus; C. Lemesle, Canta; M. Maiero, Mani Di Luna; M. Maiero, Fiabe; B. De Marzi, Ave Maria; A. Dodero, Ave Maria Zeneize; B. De Marzi, Benia Calastoria In Sa Notte Profunda (Trad. Sardo Arm. Corale Isorelle); A. Dodero, Bon Natale. 4:30pm Chiesa di San Siro Conservatorio Niccolò Paganini.